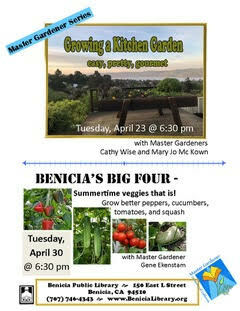 Welcome to Benicia Community Gardens! Sustainable Solano started with the creation of its first garden, Swenson Garden, named after the late Dr. Swenson in gratitude for his vision and contribution to community sustainability. Swenson Garden first opened on the property of Heritage Presbyterian Church in 1999. We now maintain two community gardens, one community orchard and a community share plot where we grow food to donate to people in need. To learn how you can join, click below.